Beware social media freaks!! Probably you’re expecting a threat or something about malware but it’s not that serious. 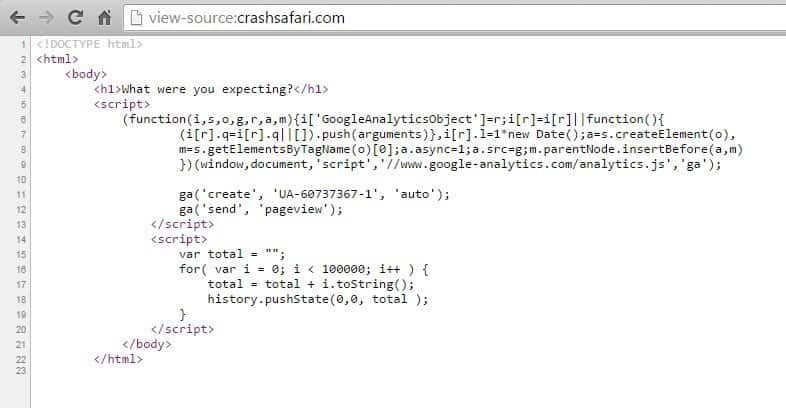 A new prank has surfaced on the web called as ‘CrashSafari’. It’s nothing but a simple website, well don’t Google it now and click. 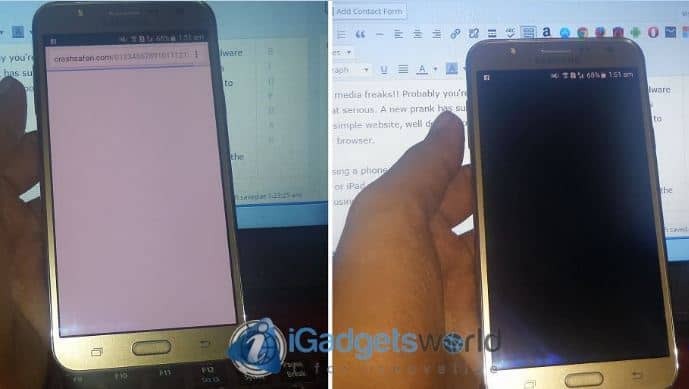 This is what will happen to your phone or browser. And I think probably you’ll see some posts which claim unbelievable offers and deals, or viral stuff with just a shortened link with no previews of the content. Anyhow, this 4 lines of code (for loop) is making the browser crash! Don’t click on any non-branded URLs which does not specifically reveal where it’s taking you to like goo.gl, bit.ly etc. You can use CheckShortUrl if you’re on PC before clicking on any such shortened link, however on the smartphone, there are very limited options. But if you’re an Android user, there’s an app for that. You can download LinkBuster and check the URLs before you visit.